I love it, Ed! 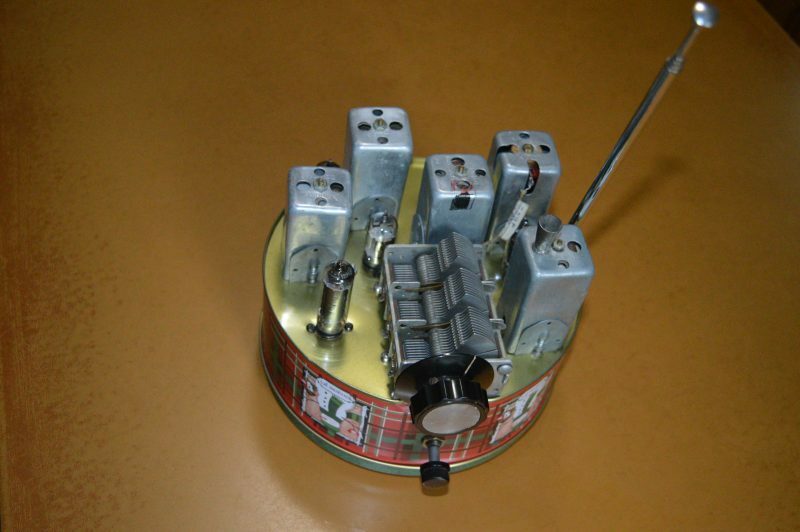 It’s like a broadcast band version of Rex’s Tuna Tin QRP radios! It must have been a challenge to mount all of the components on that tin. So how does she play? Post readers: please comment and consider sharing your homebrew project! This entry was posted in AM, News, Nostalgia, Radios and tagged AM, Edward Ganshirt, Fruitcake Tin Radio, Home Brew Receiver, Homebrew, Radios on July 30, 2017 by Thomas. On the topic of beautiful radio design, I just read this Wired Magazine article which features photographer, Alastair Philip Wiper. “In the mid-1950s, design greats like Arne Jacobsen began experimenting with new materials and colors, galvanizing a wave of mid-century modern Danish furniture makers. Everything was sleek, teak, and handsome—it still is—but exhibits showing off the new pieces had a curatorial problem: no one was making modern radio cabinets, forcing curators to display decidedly outdated designs alongside the stylish new furniture. The technology definitely needed a major overhaul. I encourage you to read the full article at Wired.com and view some of the photographs in their online gallery. If you’re not familiar with B&O design, do a simple image search online. This entry was posted in Art, News, Radios and tagged B&O, Bang & Olufsen, Design, Radios on December 18, 2015 by Thomas. Jeff over at the excellent Herculodg blog, is about to pull the trigger on this Sangean WR-15. I must admit, I’m mighty tempted, too–about as tempted as I get for radios lacking shortwave coverage. I love the simple design, the analog dial, and the three choices of finish: walnut, black leatherette, and silver piano finish. At $145.95, the WR-15 is no bargain basement find, but I’m willing to bet it’ll perform quite well. Perhaps as well as my Tivoli Model One? We’ll see. I’m sure Jeff will post a review on the Herculodge after he receives his unit in the coming weeks/months! Thanks for the tip, Jeff! This entry was posted in AM, New Products, News, Radios and tagged Radios, Sangean, Sangean WR-15 on March 20, 2015 by Thomas. 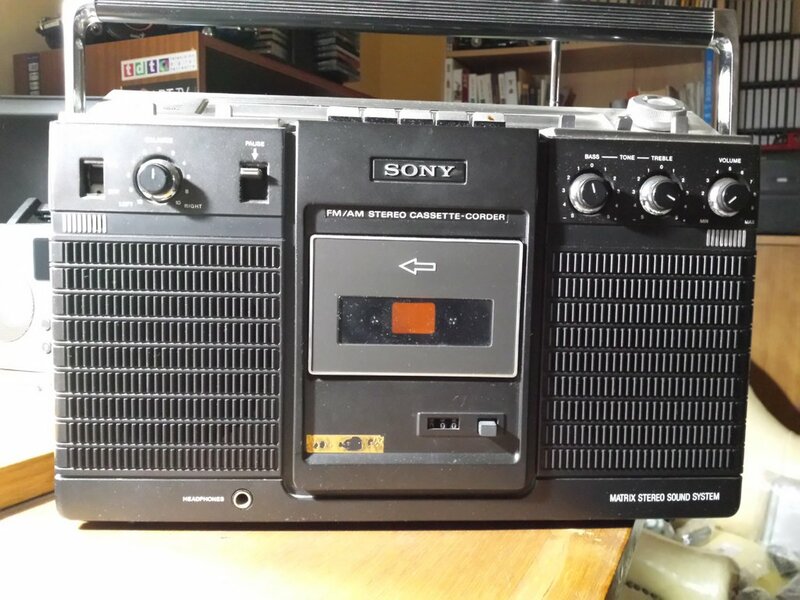 Many thanks to SWLing Post reader, Jesus Leal, for contacting me and sharing photos of his Sony CF-560s shortwave receiver. I have never seen the CF-560s before. 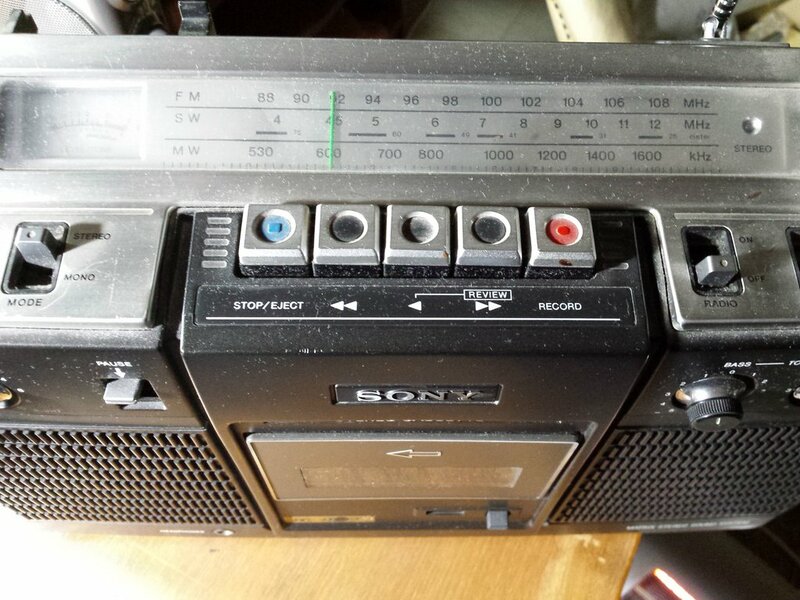 I believe the its a relatively rare receiver; indeed, I couldn’t even find one in the completed listings on eBay. 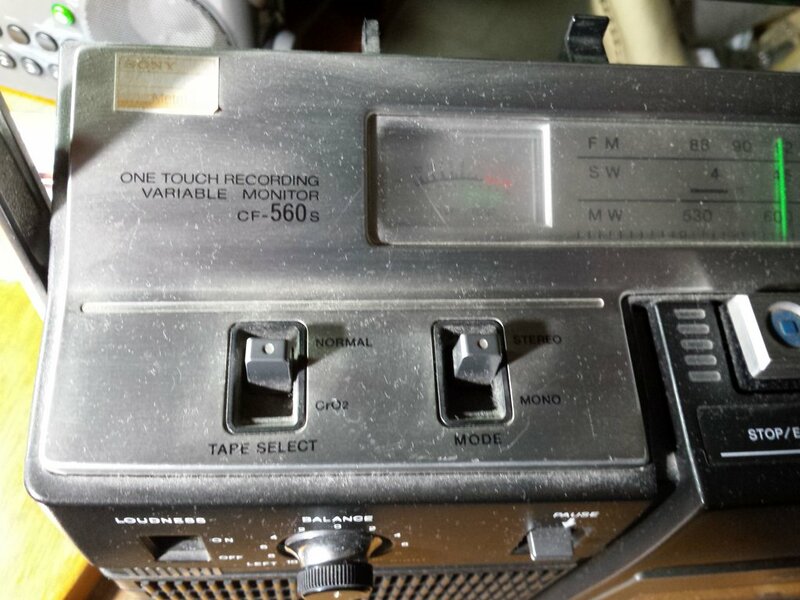 The CF-560s covers AM/FM/SW and has a built-in cassette player/recorder. Being a “boombox” style radio, I imagine the SW filter is wide and, when locked into a strong station, provides rich audio. 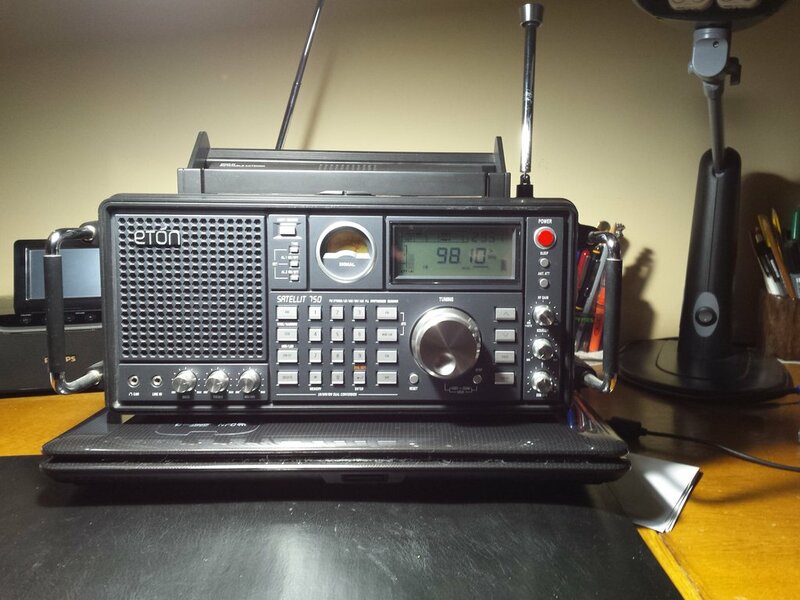 Mr. Leal, who lives in the La Mancha region of Spain, uses the Sony CF-560s for regular shortwave listening but also has a Grundig/Eton Satellit 750 in his radio arsenal. Any other SWLing Post readers have the Sony CF-560s? Looks like a gem of a radio. The design certainly has strong 1980s nostalgic value. This entry was posted in News, Radios, Shortwave Radio, SWLers and tagged Boombox, Grundig Satellit 750, Jesus Leal, Radios, Sony CF-560s on February 5, 2015 by Thomas.